With Facebook becoming such a marketing "Must-Do," car brands such as BMW, Ford, GM, Porsche, and dealerships around the world, have had to put some serious marketing dollars into social media, except for the dealerships; most still are not grasping the power of social media no matter how much you pitch them. Last month, Business Insider had the top 10 most liked Facebook Brands for the month of September and BMW was number 8 on the list, being the only car manufacture to make the list with 215,391 new Likes in just one fall month. In social media, especially in the automotive market, you really need to voice your "story." Lately, so many freelance writers are blogging about how to create a "Story" for your brand to create a strong relationship between the company and the customer. 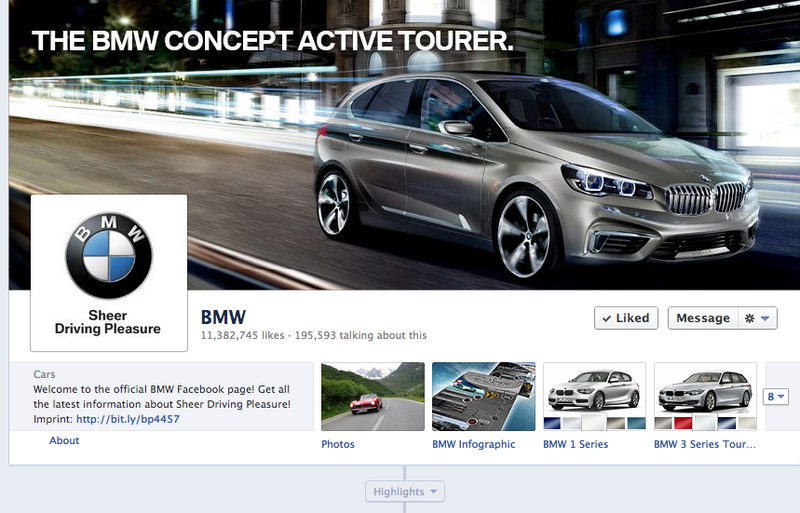 Well it looks as though BMW's social media campaign is working, and working well. I pitched the local BMW dealer here in Orlando, FL to manage their social media, and of course they said they would be fine doing it themselves (even though they never posted, let alone answer customers,) and not 4 days later have they started posting every other day. Did I just light a match under a dealership to get on the band wagon? That's not the only dealer that did the exact same thing to me, meaning days later they post, and post, and post. 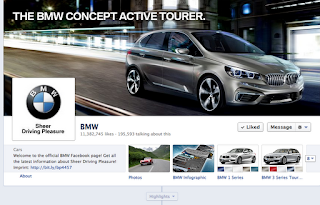 There is a serious importance in social media to reach and touch your customers, BMW has told their story and expressed their voice, funding a fantastic social campaign that is showing to work. Now if luxury car dealers could only see the potential, they would only learn to better their customers, and to find out who they really are. That is how you sell a car, and get them to send in their friends and family in. Other brands on the list were Bud Light, DirectTV, Burberry, Starbucks, and Walmart was the very top.